Mother’s Day is right around the corner, and for me, it is time to plan ahead and do I have the perfect place to shop for Mother’s Day gifts, My Gift Stop. 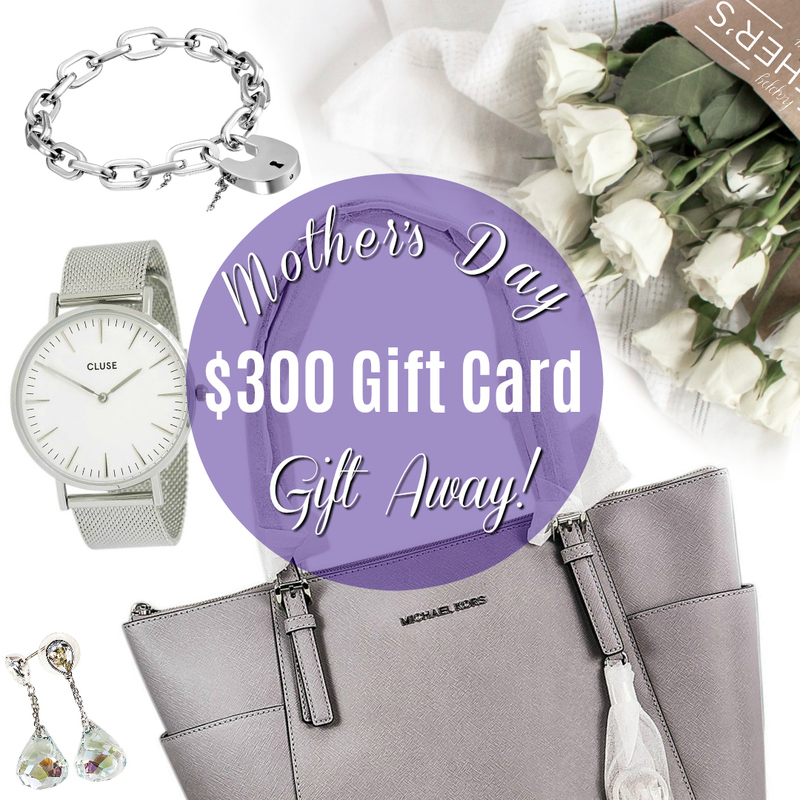 Whether it is for your Mom, your spouse, your sister or that special person that is a mom in your life, this is one Day I think you do not want to neglect and nor does My Gift Stop and that is why they are giving you the chance to win a $300 Gift Card. ENTER BELOW AT THE BOTTOM OF THE PAGE! My Gift Stop is an online shop offering luxury goods that are dedicated to giving back to society, donating 5% of every sale to the global medical relief nonprofit, Direct Relief. In a time where our schedules seem to become denser by the day, it is most common for things to slip our mind here and there- forgetting a gift for Mother’s Day is no different! This is where they come in! 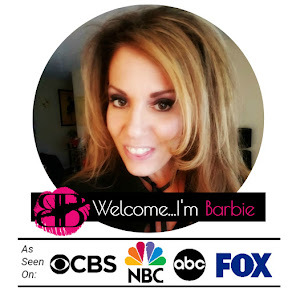 My Gift Stop made it their mission to offer consumers “present peace of mind!” last minute! 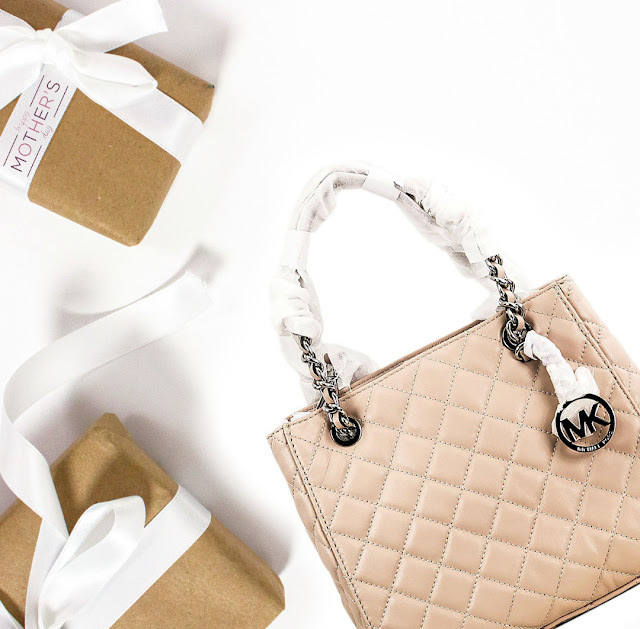 I love the luxury gifts that they have with name brand sunglasses, handbags, shoes, and more with incredible prices and easy return. 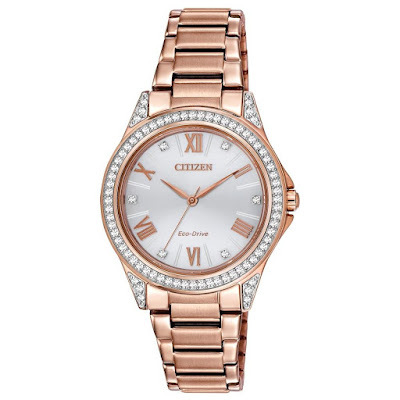 My mom is a big Michael Kors and Citizen watch fan and not only are they reduced compared to other sites, plus you can save 10% Off Your Entire order or 25% Off Citizen watches! 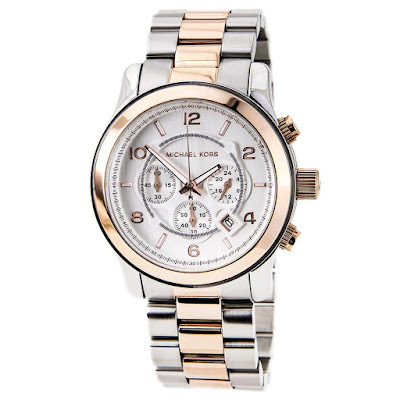 I found some awesome watches for my mom and my sister, check them out! 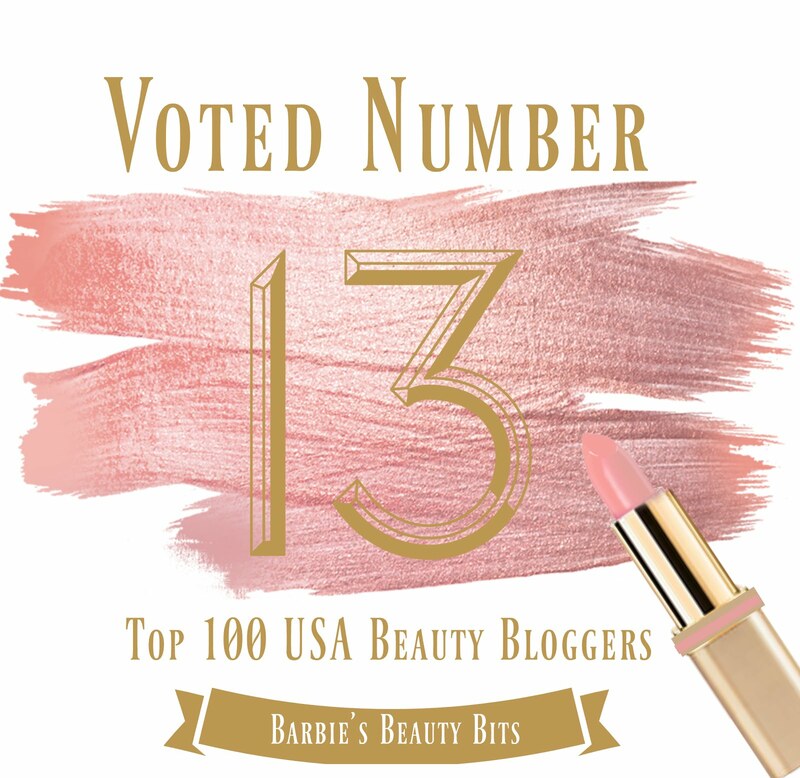 MAKE SURE TO ADD BARBIE'S BEAUTY BITS AS WHERE DID YOU HEAR ABOUT! 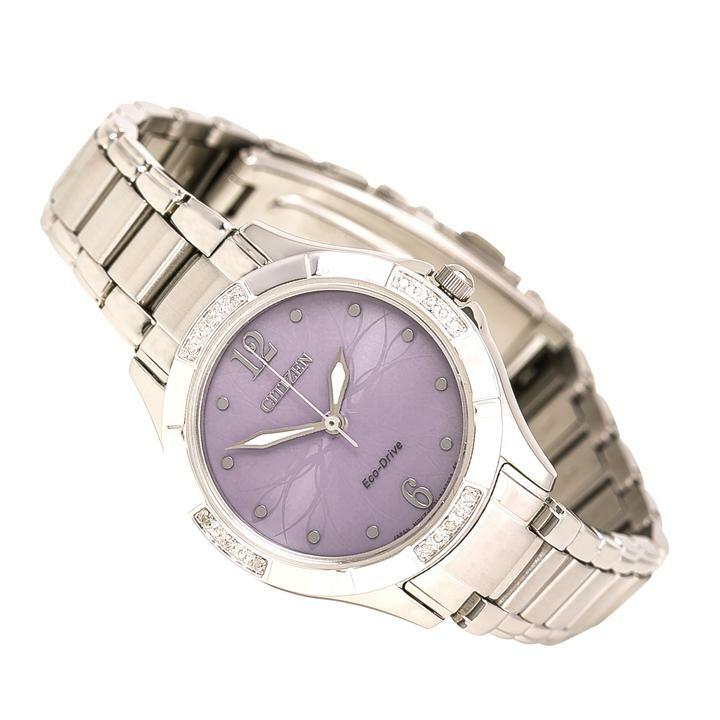 No purchase necessary.One participant will win a $300 Gift Card to MyGiftStop.com. 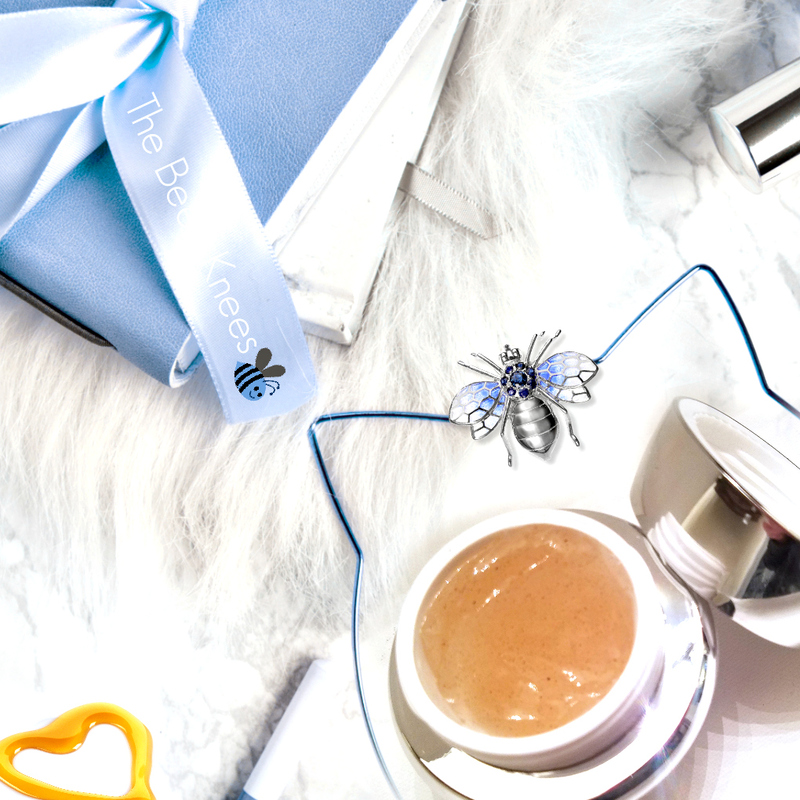 With this month being women being International, Glossybox dedicated their box to us, women! 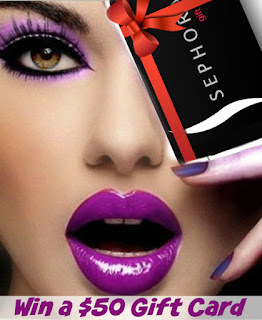 The hard-working, multi-purpose products in the box are dedicated to inspiring women who are beautiful inside and out. From cleansing to glamifying they have us covered this month with some awesome items! Multitasking is what a boss girl needs and this multitasking pencil is a must for every makeup bag—allowing you to conceal, define, and line. 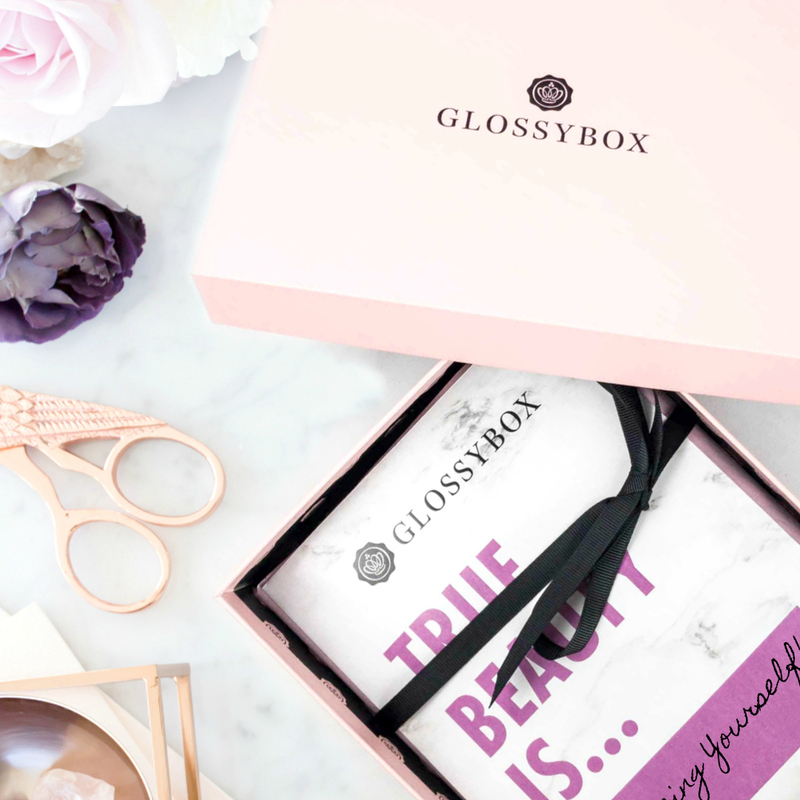 Before I get into the items, I wanted to let you know about Glossybox! It is an amazing beauty box where subscribers receive up to six deluxe-size to full-size products each month. The pricing starts at $21 a month for a month-to-month subscription, but the longer you commit (3, 6 or 12 months) the price goes down! I love this subscription it is so worth the small investment! Multitask is the multitasking product. 3-in-1: Leave-In-Conditioner, Daily Moisturizer, Style Refresher. 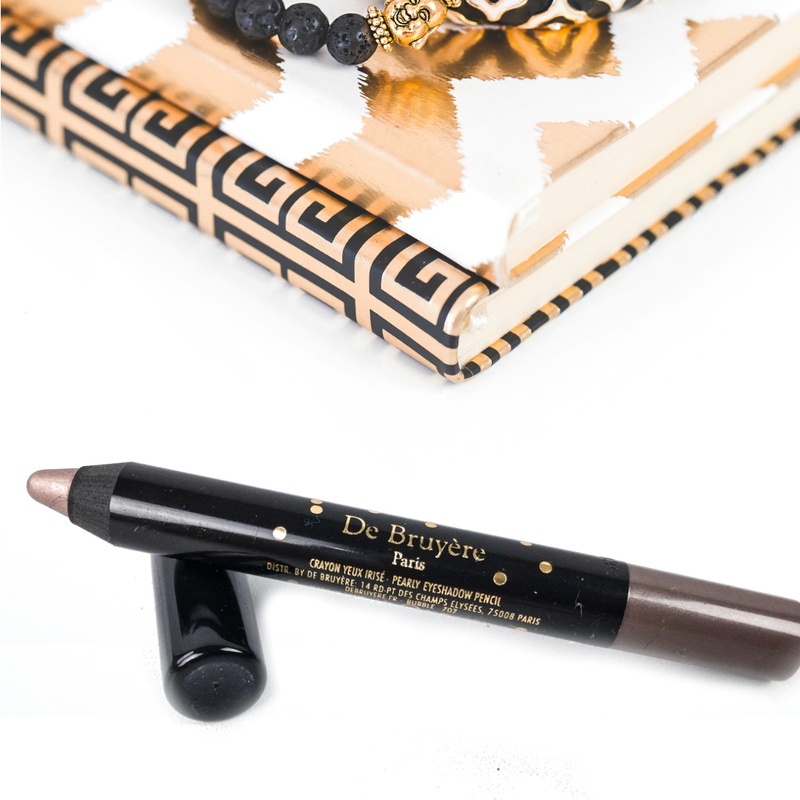 Just what a boss girl needs to rock her hair, while she's rocking the world! 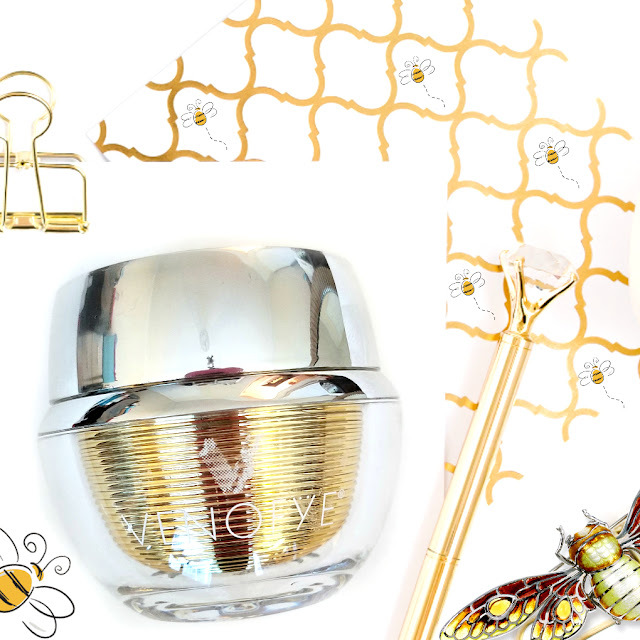 Its' time to rule with flawless looking skin and Figs & Rouge HD+ Matte Veil is here to help! Primer is my secret weapon to rock a perfect makeup application! 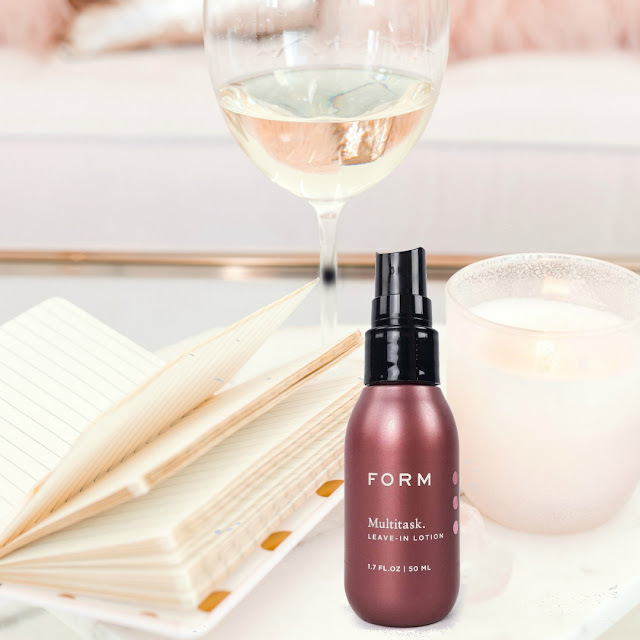 This is a weightless, matte serum that is designed to help minimize the appearance of pores & create a sheer complexion. With a unique duo action, this anti-blemish formulation helps reduce skin impurities & combat breakouts. 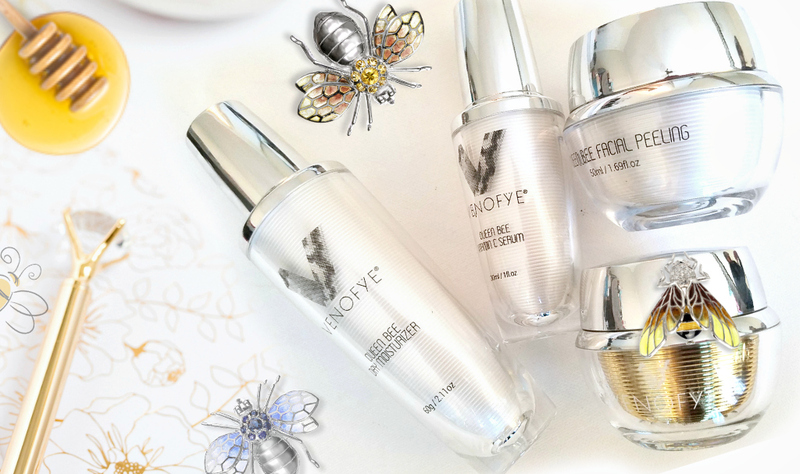 For diminished shine & a micro-fine, soft-focus effect, Figs & Rouge New Hydra-Pore collection delivers long-lasting pore correction, to help fade imperfections & promote a clearer balanced complexion. I received the color, One and Only, just like me! This high-quality formula and heavily pigmented nail lacquer that gives up to 7 to 10 days of wear and incredible color saturation. With a wide range of shades from every color family, Morgan Taylor has the perfect color for every lacquer lover! I wasn't satisfied to earn a good living, I was looking to make a statement! 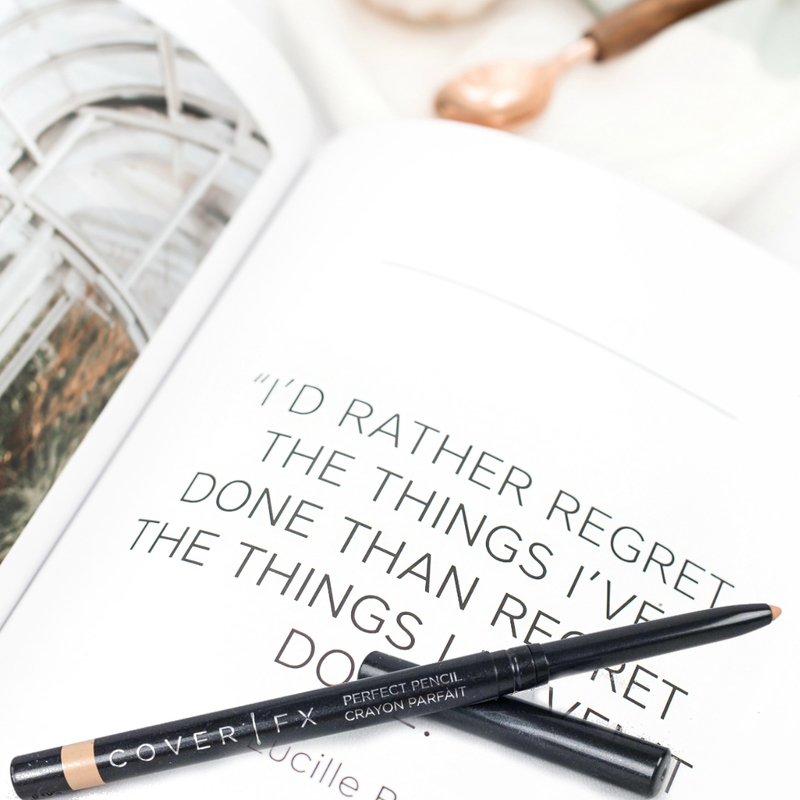 Make a statement with this jumbo eye pencil, khaki-grey glamorous and shimmering shade, highly pigmented which, thanks to its generous size, can be used either as a liner or eyeshadow. Beautiful skin requires a commitment, not a miracle, which is why I was so excited to get this bonus item in my Glossybox this month! 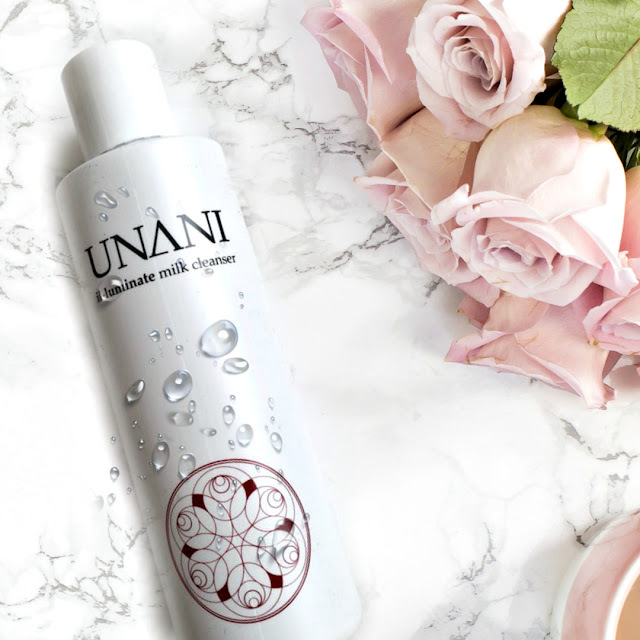 This is a gentle cleansing milk, that has natural oils which purifies and protects the skin by removing impurities as well as makeup, leaving your complexion soft and restoring its elasticity. 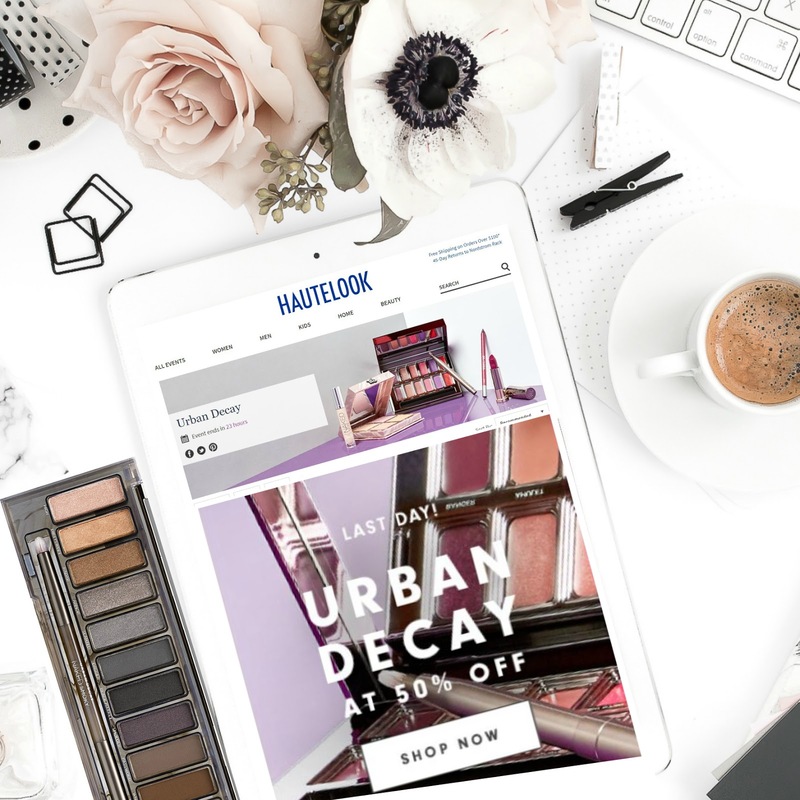 Attention all Urban Decay Makeup lovers, it is time to stock up on some of your favorites Urban Decay products as Hautelooks has 50% on Urban Decay Products. 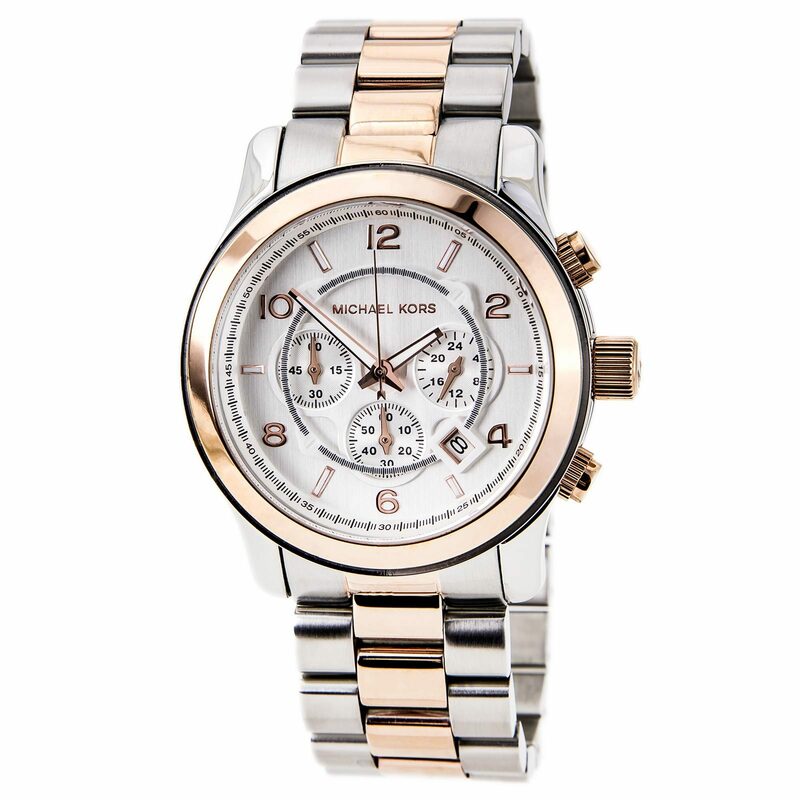 If you are not familiar with Hautelooks, it is a company that is part of Nordstrom Rack, and they have short-lived promotions on some luxury brands. I always check their makeup specials, and you need to as well before this deal expires! When people hear the word anti-aging, a lot think of someone in their forties, but that is further from the truth. 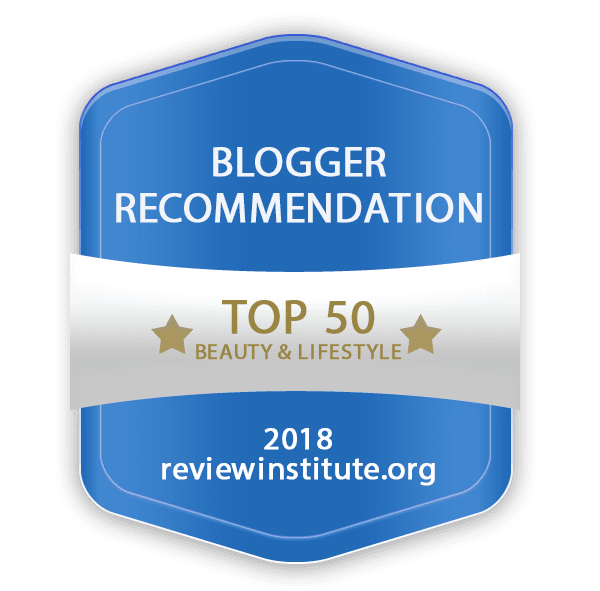 As when it comes to preventing wrinkles, damaged skin, lackluster complexion and more, making smart lifestyle approaches is what can really help your skin from aging before its time. So, if you want to find out how to reveal that younger looking skin than continue reading! I am starting with the first one most are curious about which is skincare products. 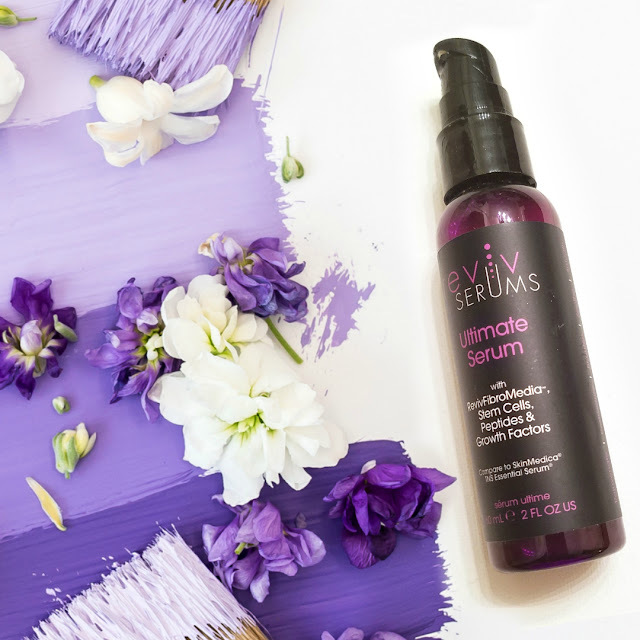 I have tried a lot of skincare products, and while skincare and anti-aging can be a blog post on its own, I am going to share with you one of my all-time favorite skincare products which is Reviv Serums, Ultimate Serum. 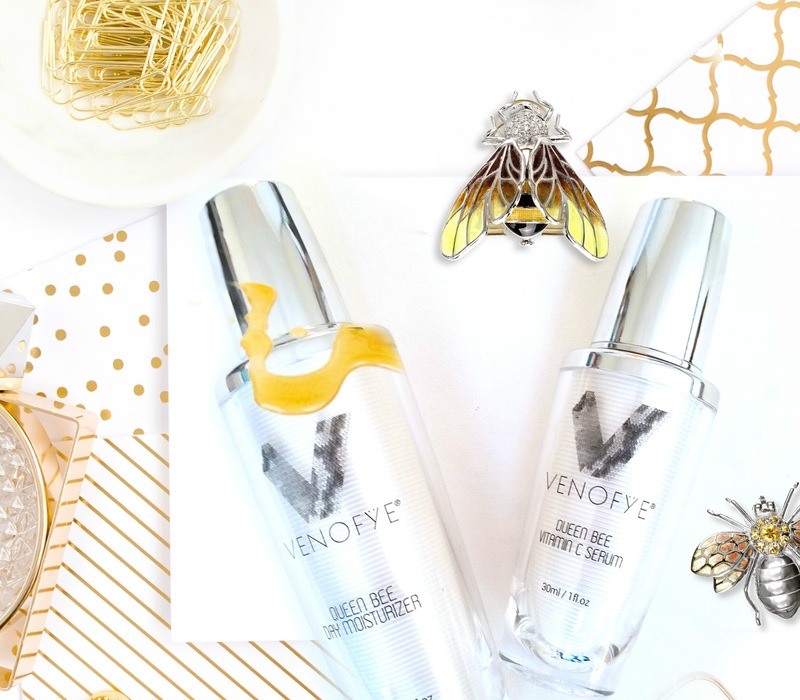 When selecting a great skincare product, you want to look for ones that have antioxidants, skin replenishing and restoring ingredients as well as humectants & moisturizers and this serum has that and more! The Reviv Ultimate Serum is not only my favorite because of the results that I get but also because it is a product that addresses every concern of aging skin and is the ultimate rejuvenator; an all in one skincare serum...Oops, actually eleven! Additionally, it contains PhytoCellTec stem cells, growth factors, peptides, tripeptides, hexapeptides, antioxidants, emollients, sebum-controllers, anti-inflammatories, collagen producers, phytosterols, glycolipids, and polyphenols, making it stand up to its name by being the ultimate cruelty-free, physician recommended skincare product. If you want healthy, glowing skin, you should also be exfoliating your dead skin cells! Especially for those that are over thirty, as the process of desquamation slows down, meaning that our body is slower to shed dead skin cells and produce new ones. This buildup of dead skin cells (regardless of your age) can have an adverse effect on our complexion leaving it looking dry and dull or worse this accumulation can result in excess oil production and clogged pores, which could lead to problematic skin. 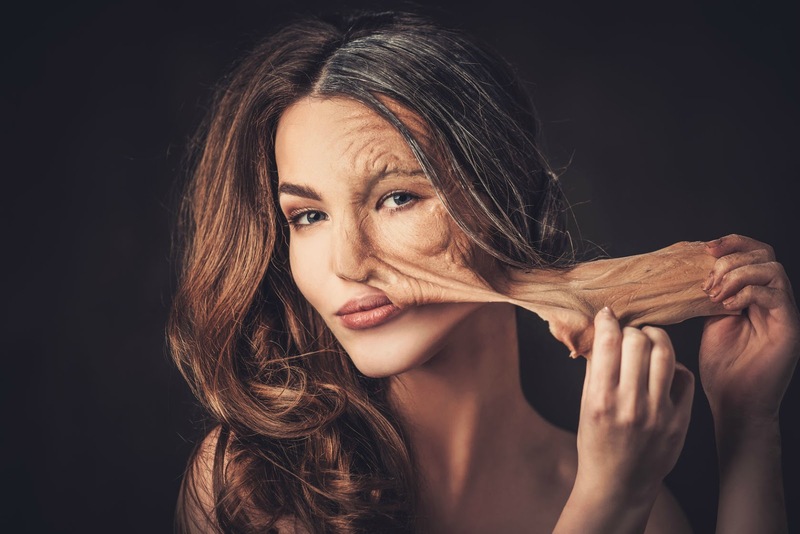 Additionally, this build of dead, dry skin can not only make you look older than you are, but it creates a barrier for our skincare products. So those serums like the Reviv Ultimate Serum and other products that you're spending all that money on can't get to the fresh new skin which is hidden below this barrier of dead skin cells. Hence, exfoliation is here to help speed up the process of shedding old skin and making room for new skin to emerge. That is right if you are correctly exfoliating your skin, you do not have to rely on your body’s natural rate of desquamation to keep your complexion looking radiant and beautiful. You are what you eat is a true statement. While we can indulge, there are some foods that can help with the skin. One important food to add to your diet are foods that are rich in antioxidants. Antioxidants are a must for a more youthful complexion as they help to protect the skin against free radical in the environment which can lead to premature aging. Why do you ask? Because these environmental factors can break down the collagen and elastin of the skin, causing you to age more quickly. However, when you have a diet rich in antioxidants, they work to prevent these free radicals from damaging the skin. 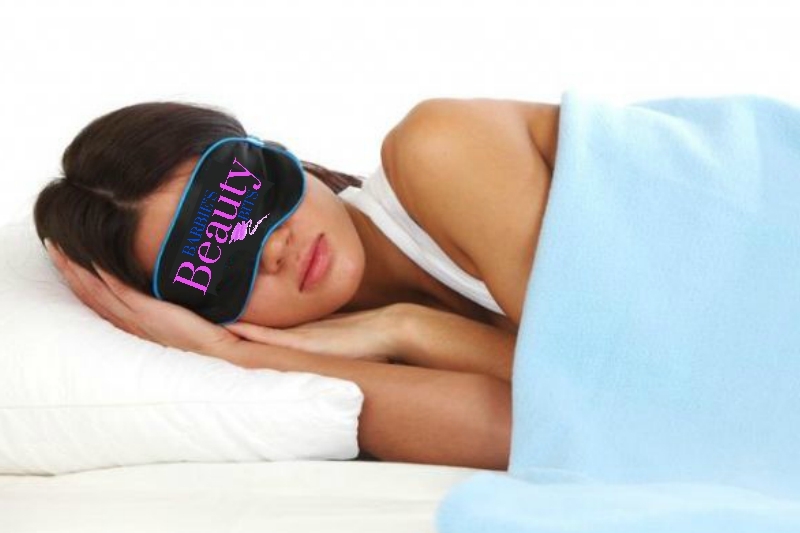 Getting plenty of rest is essential for skin renewal because as we sleep our skin rests, recovers and renews. There are a few hormones in our body which can help safely with sleep as well as bad. Let’s start with the good, with melatonin. Not to get too technical here, but I found out that the sleep hormone melatonin begins to rise a few hours before bedtime as we start to wind down. This hormone not only helps with making us sleepy, but it also helps to fight those skin-damaging environmental factors we have exposed ourselves to during the day, hence repairing our complexion as we sleep. On the other hand, with a lack of sleep the stress hormone cortisol, can cause skin collagen to break down causing the skin to lose its elasticity, firmness, smoothness and more. Yes, a lack of sleep not only can affect your physical appearance instantly but can have a long-term negative impact as well. Getting the correct hours of sleep is also essential. The goal is to have 6-8 hours of sleep a night as lacking sleep can cause other issues with the skin like dark circles under the eyes and bags! Oh, and don't forget to take your makeup off before you go to bed as makeup can clog your pores which can lead to irritation and blemishes! Some additional sleeping tips to help with antiaging include sleeping on a silk pillow and sleeping on your back. 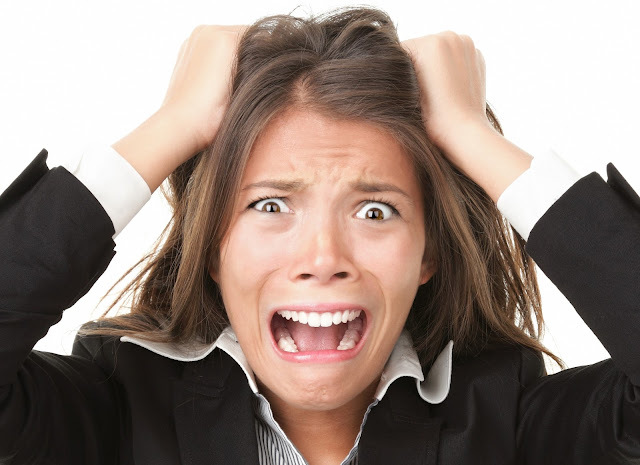 Not only does stress show up in our face, which can potentially aggravate skin conditions and cause premature aging, that physical stress can also cause our body to produce more of that darn stress hormone. And as we mentioned above, it can break down collagen and elastin, ultimately leading to wrinkles! So, find your Zen time! This is one area I am not great at, the task of drinking 13 glasses of water a day can be daunting. While I am not dismissing the importance of drinking this many glasses. If you are like me, you can get some of your needed h20 intake from some of your fruits, vegetables, and some other liquids like green tea. Most of us know the importance of using sunscreen, but did you know it is also essential to incorporate sunscreen into your makeup routine as well? Yep, protecting ourselves from UV rays is vital at all times and all seasons! But the tricky part comes when you must combine into your makeup application. 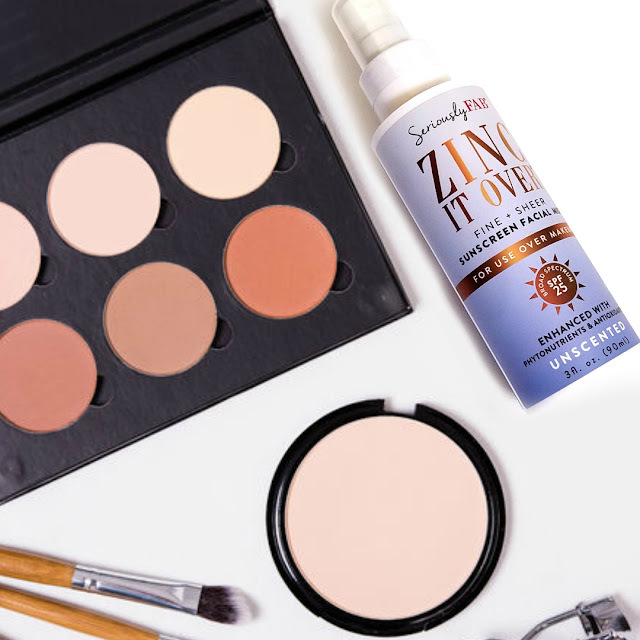 While we can find a sunblock or maybe even a tinted SPF, sunscreen may not always be in our favorite makeup or skincare. Hence, we are either forced to wear a foundation we don’t like at times or have to apply it prior, which does not always mix well with all makeup. And if that wasn't bad enough did you know that reapplying SPF it is also critical; every 2 hours is key to adequate sun protection. Now, how the heck can you reapply sunscreen a few times a day without messing up your makeup masterpiece? 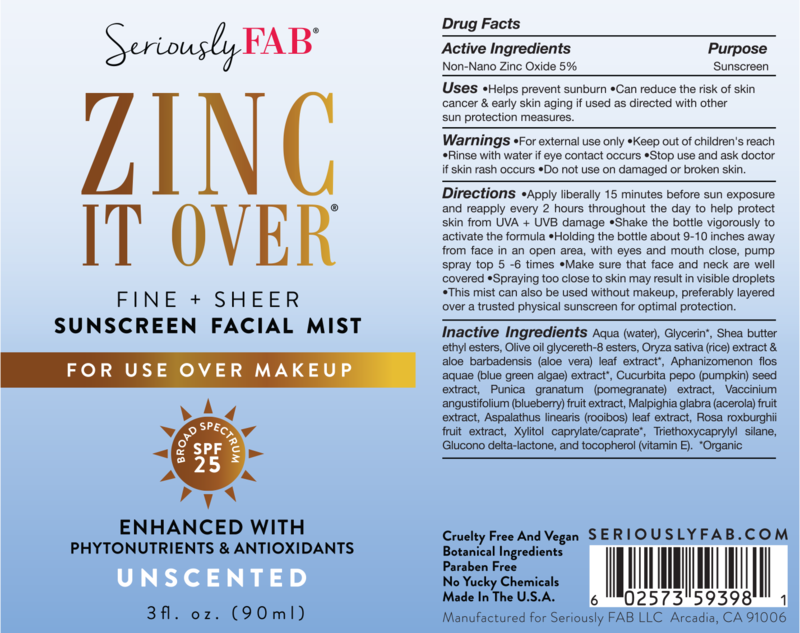 Well, fret no more as I have a solution for you with Seriously Fab ZINC IT OVER facial sunscreen mist that can be used OVER your makeup! This fine, sheer mist can be reapplied numerous times throughout the day over your favorite makeup! 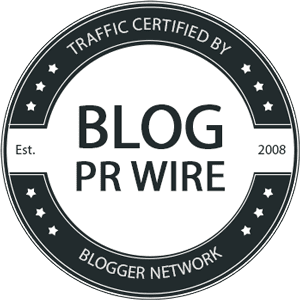 So, if you want to find out more about this cool product continue reading! 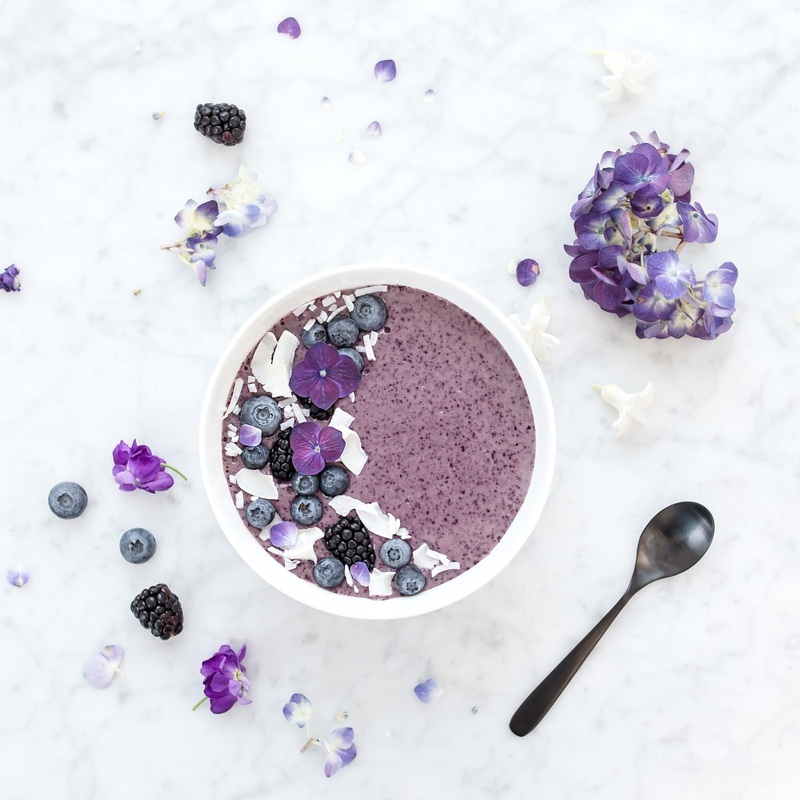 Furthermore, all of the ingredients are carefully sourced utilizing phytonutrients and antioxidants that are widely known to be safe and beneficial for the complextion. 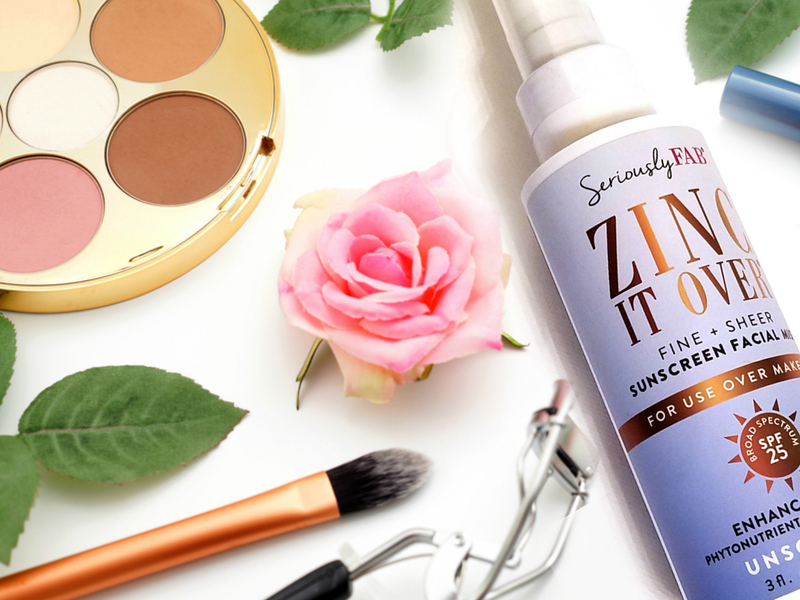 The powerhouse ingredients in Seriously Fab ZINC IT OVER includes Blueberry, Pomegranate, Vitamin E, Aloe Vera, and Pumpkin Seed! 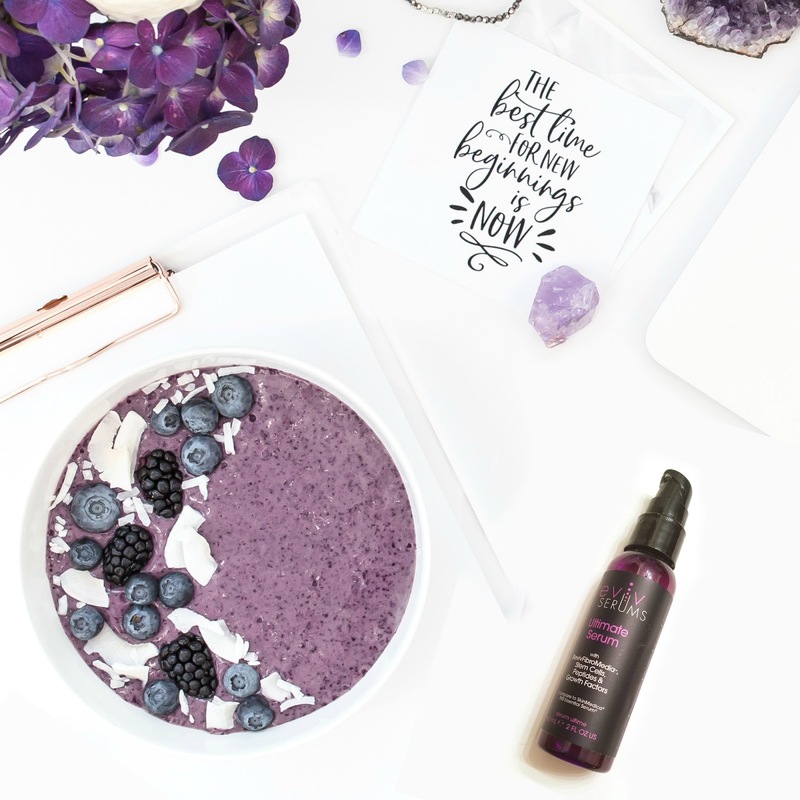 And because of the natural ingredients in this product, it is also better suited for those with sensitive skin, as most natural products do not irritate the skin. If you want to streamline your SPF protection process, try using a BB cream or CC cream with SPF in it. I like products from ITcosmetics as they also have additional benefits for the skin. And finish off your makeup with a translucent dusting powder as this will help to keep your makeup in place. 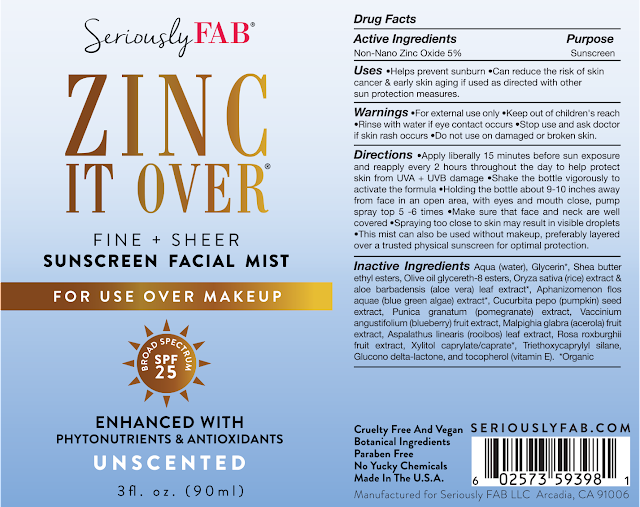 Then 15 minutes before sun exposure you want to spray your entire face with the ZINC IT OVER facial mist! 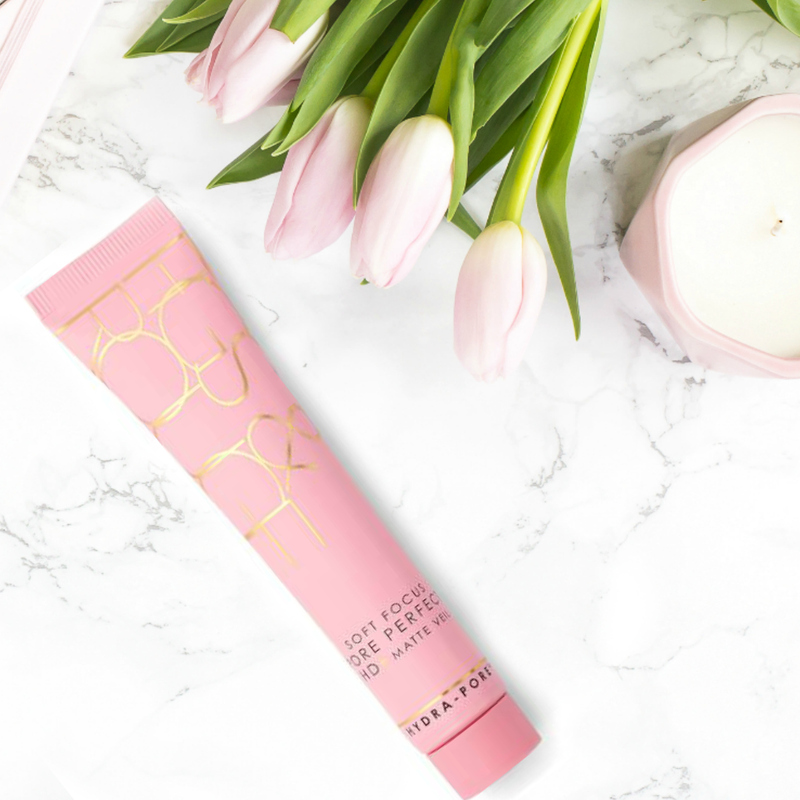 For maximum UVA & UVB protection make sure to use every 2 hours throughout the day (which is possible as this bad boy fits right into your purse). Similar to most setting sprays you want to apply about 10 inches from your face to avoid droplets that can run and mess your up your makeup. IMPORTANT: To activate the ZINC formula you want to shake the bottle vigorously. 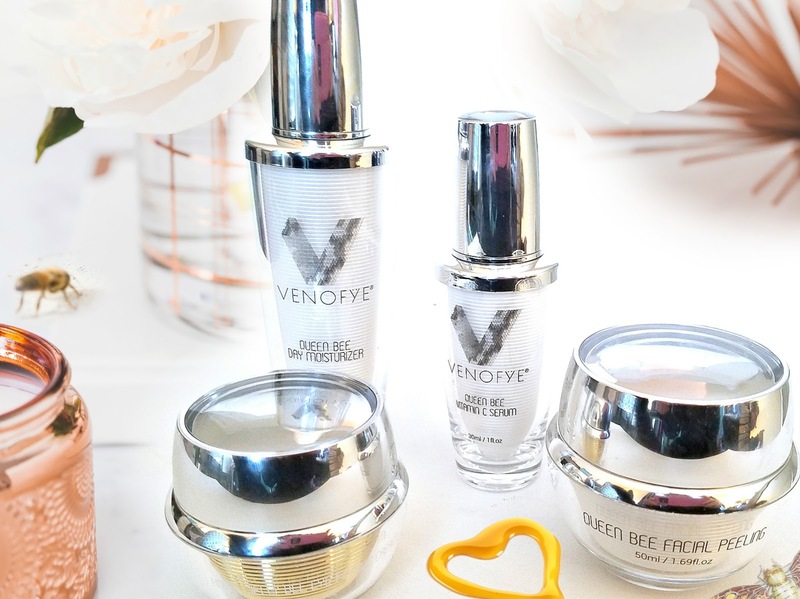 Although I try a lot of products, I am really excited about this one as not only does it provide UVA & UVB protection, but it also very hydrating to the skin, while leaving me with a dewy look which is must if you are over the age of 30! So there you have it beauties, an excellent way to wear your favorite makeup while incorporating sunscreen protection as well! Oh, and don’t forget your pout! Your lips can get sunburned, so apply a lip balm with moisturizer! 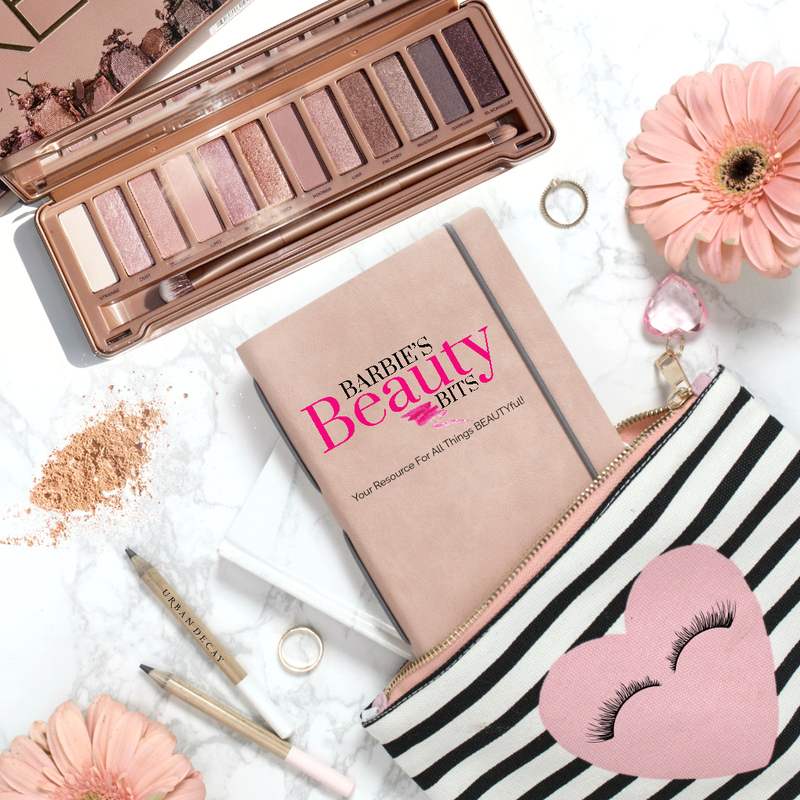 Beauties it is time to stock up on some amazing beauty products from Urban Decay! For 2 days only they will be having site wide sale. There are some restrictions on products see below! ALSO, did you know that you can get your Naked Tin Palettes engraved for FREE? So Cool!! I got the Naked 3 Palette engraved for myself! Click Here to start savings and for the code! Discount applicable with any purchase on UrbanDecay.com and Urban Decay freestanding stores. Some exclusions apply: Naked Petite Heat Eyeshadow Palette, Holographic Disco Stick, Disco Queen Holographic Highlight Powder, and Naked 4Some Vault. Subject to change without notice. Cannot be applied to orders made outside of this promotional period. 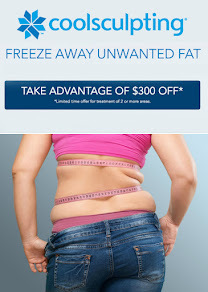 Cannot be combined with any other promotions, coupons or the UD PRO Discount. Want to keep up on deals like this and even get paid for sharing? 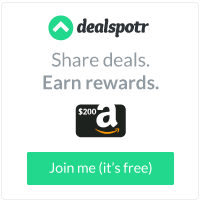 Then join me on Dealspotr today!